Call Any Number for Free! 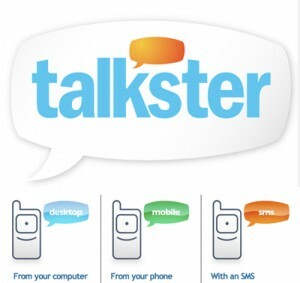 Talkster is a free phone service which has been around for a while. It supports free calling for over 25 countries at this point, although the list is growing pretty fast. The free calls are supported by 10-second at the beginning of each call. Calls can be placed via a computer, a mobile phone, or even an SMS! Talkster even supports conference calls.